Painting isn't a big deal, unfortunately most people think a rustic look is created by adding barn wood or other wood treatments to the wall. 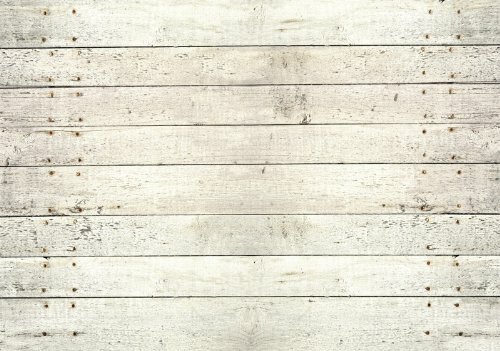 While it's true, barn wood walls make a stunning addition to a country theme, it's not the only way to achieve a rustic effect. 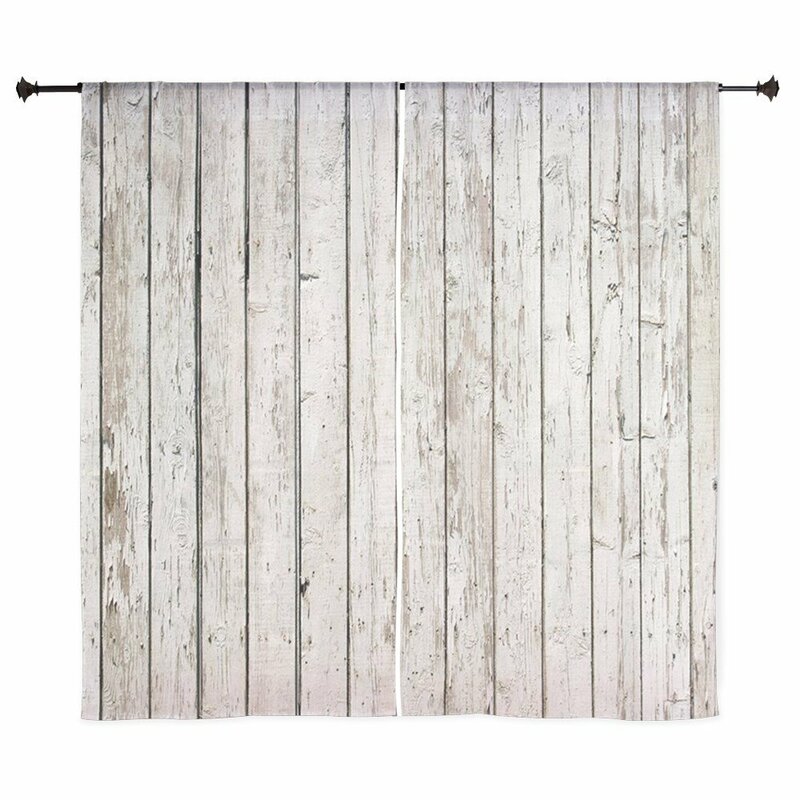 Barn wood drapes come in a variety of styles and designs. 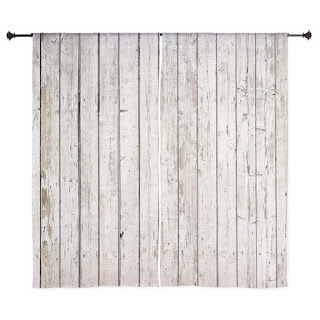 You can see additional choices when you visit the barn wood drapery photo. If your room has a large picture window or a sliding door, the drapes will add a impactful rustic feel to the space when they're closed. However, you don't need a window to put drapes up. By putting drapes on a feature wall that doesn't have a window, you create the illusion of more space while adding to the country feel. In fact, you can have something behind those drapes: Behind the drapes, go ahead and feature a faux window or 3D country scenic wall decal. Open the drapes and you've created a third dimension. Did you know you can get an area rug that looks like hardwood floor? Of course there's the typical bamboo floor rugs that most of us know about, but the ones that surprise people are rugs designed specifically with fabric/cloth to look like a wood floor. The above rug has a rubber backing and thus may not have the feel of a traditional area rug. Think of it as a giant mouse-pad, however you can put a piece of carpet foam underneath to increase the low pile. However, not to be fooled, it is quite soft to begin with. A good spot for this rug is under a coffee table. With the light barn wood drapes and a matching area rug, all you need to add are rustic accessories; pillows, throw blankets, trinkets, and rustic lamps, and you've completed the theme without opening a can of paint. Have fun with your paint-free redesign. 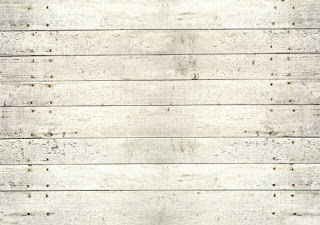 What a wonderful alternative to painting and a great way to easily add the look of wood to a room. I loved the idea of using curtains to cover a section of wall too to add an accent. A very clever idea indeed. Thanks for telling me about this neat way to add a rustic look to a room, Barbara. Very intriguing accessories to add the rustic look to a room. I have never heard of a rug that looks like wood! As always Barbara you have the most innovative ideas for decorating. What a neat way to add a rustic look to a room. Thanks!! Wow, Barbara, you never run out of decorating ideas! I never would have thought of drapes that look like wood. How clever to use where you can't actually put in a barn door but want the effect. Cool! It's an awesome innovative idea to decorate the wall. Thanks for sharing this amazing idea.